Zephyr literally means a soft gentle breeze. 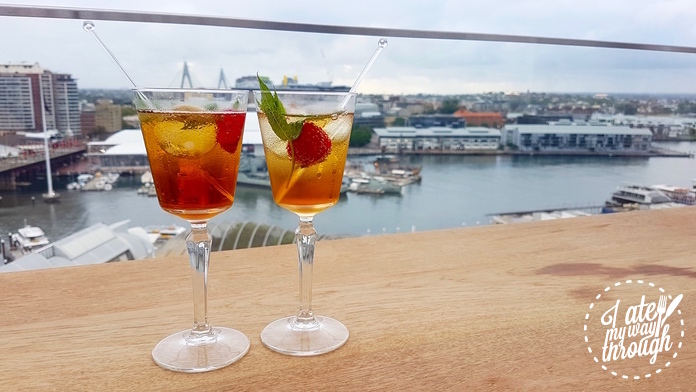 In Sydney’s newest upscale hotel the Hyatt Regency, it is the name given to a roof top bar with an open-air setting, elegant stylish décor, and best of all, a stunning view of Sydney and Darling Harbour that simply can’t be topped in the area. 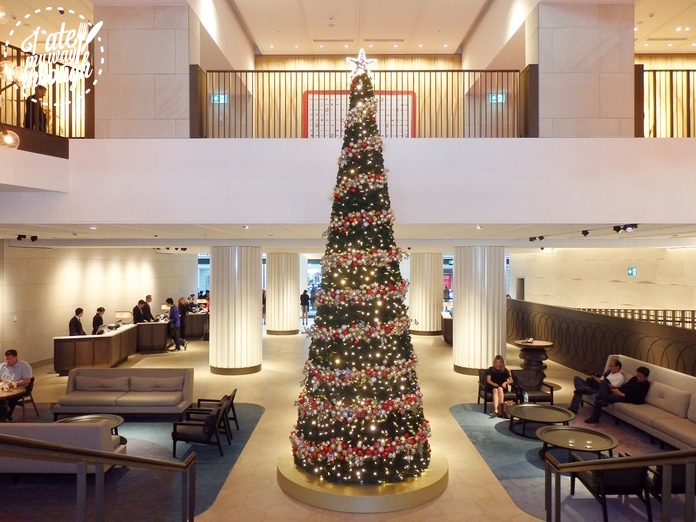 After a $250 million redevelopment, Hyatt Regency opened in December 2016 on the old Four Points Sheraton site at 161 Sussex Street in Darling harbour. 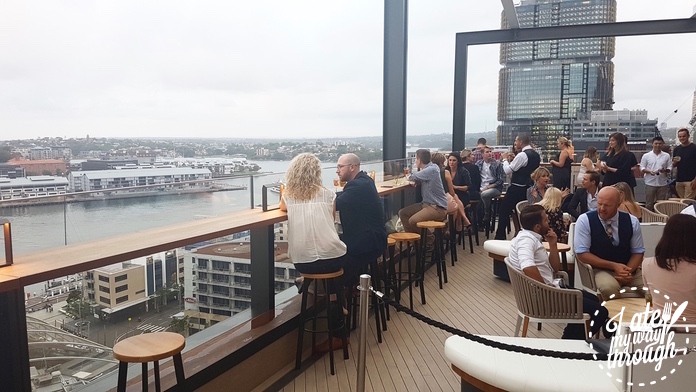 Part of the Hyatt brand and adding 222 premium rooms, it is now the largest five-star hotel in Australia boosting 892 rooms in total and the only CBD premium hotel rooftop bar. 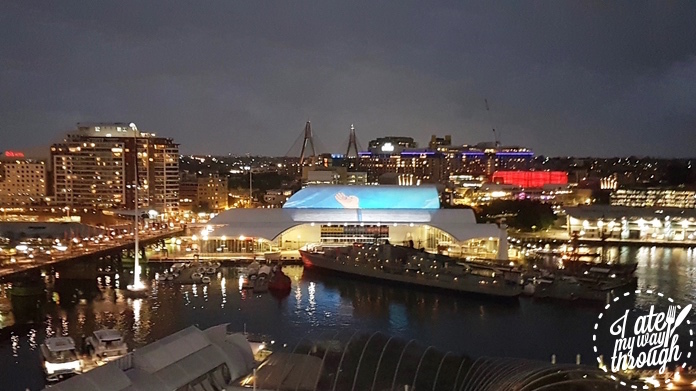 The open-air design provides uninterrupted 180 degree views across the water over Darling Harbour and some of Barangaroo. As the sun sets, the daylight is gradually replaced by twinkling street lights. This is one of very few places in Sydney where you can immerse yourself in million dollar views and truly appreciate the beauty of this city. 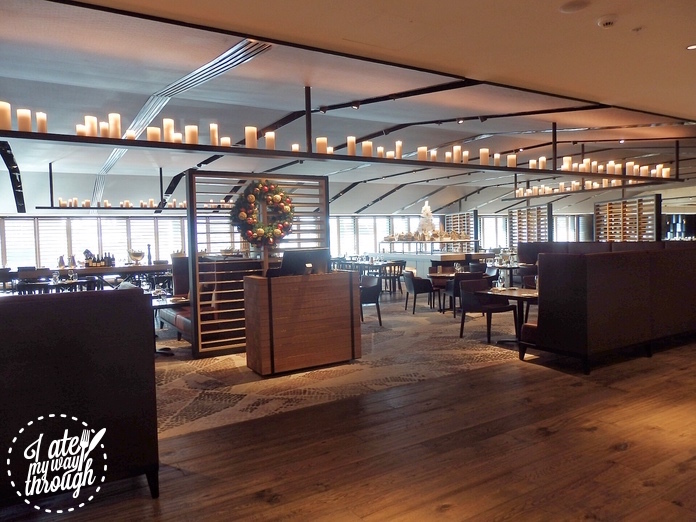 The best part is you don’t have to be a staying guest to access Zephyr; the bar is open from Tuesday to Sunday to both guests and the general public. 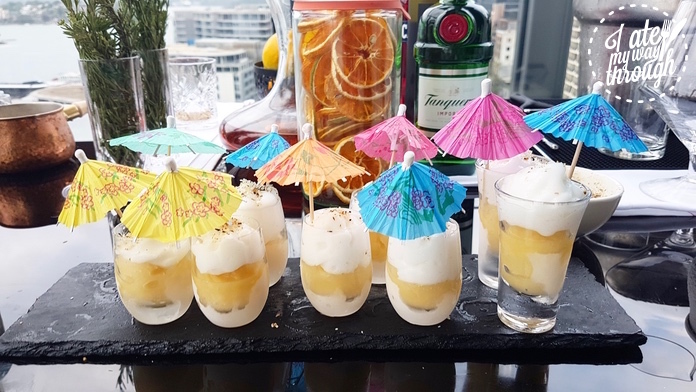 The cocktail menu boosts classics with a contemporary twist such as the fresh peach, thyme, gin and chardonnay spritz or something a bit sweeter like the Rooftop Fruit Cup with gin, orange curacao, rosso vermouth, bitters, coca cola, ginger ale, and fresh citrus, strawberry and mint. Ever since the gin master class at Archie Rose, we at IAMWT have developed an insatiable appetite for Gin & Tonic and the Mediterranean G&T in Zephyr is infused with fresh thyme, rosemary and mixed with fresh botanicals. It doesn’t display the characteristic bitterness in the drink but a rather a floral and rounded taste. Internationally renowned mixologist Grant Collins from Potts Point hot spot the Powder Keg has curated a strong collection of vermouth and rum based drinks. 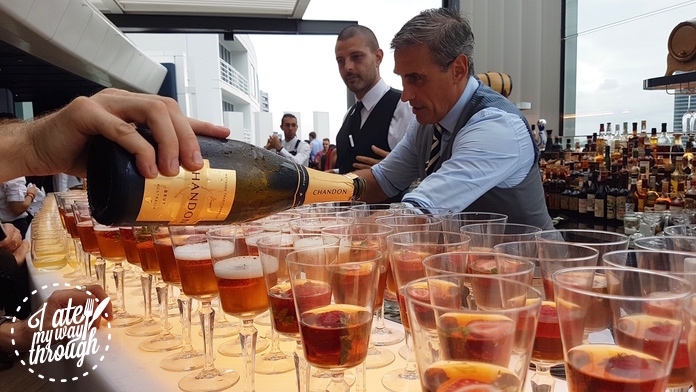 Bar manager Mirko Simonazzi is on-hand to ensure delivery is smooth and that customers are satisfied. For those who are unable to tear themselves away from the view at dinner time, Zephyr also serve a range of light snacks complimenting their cocktails. 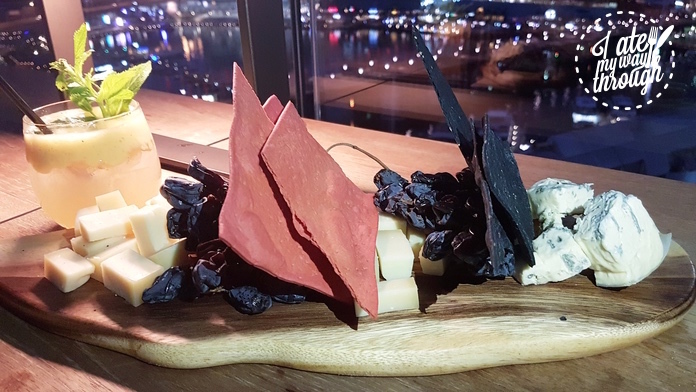 Cheese board ($26) consists of Gippsland’s blue cheese, South Cape’s Camembert, and Switzerland’s 1655 Swiss Gruyere, served with Lavosh crackers and muscatel grapes. Meat lovers can find wagyu bresaola in the Charcuterie board ($26) or pork meatballs filed with buffalo mozzarella in a tomato garlic sauce ($14). 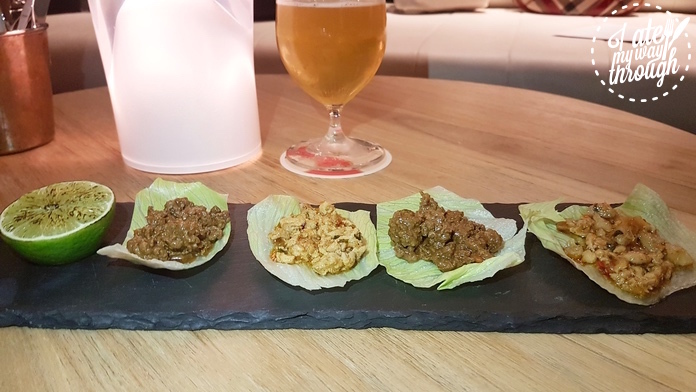 The Kobe beef and corn fed chicken ($24) served in lettuce cup are a bite-sized san choi bow served with mint, coriander and shallots. 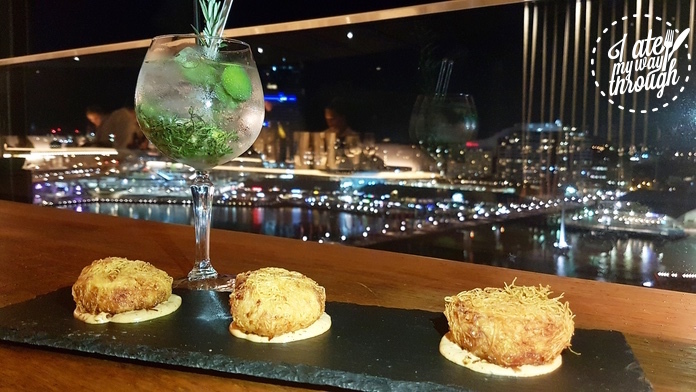 With an extensive list of drinks created by a world-class mixologist and water-mouthing bar snacks and a view to die for, Zephyr is a breath of fresh air to the Sydney dining and nightlife scene. Sarah's weekdays are spent immersed in the hectic and ruthless corporate world but her weekends and evenings are dedicated to pursuing her true passion: food. Equally comfortable in a three-hat fine dining restaurant or a pop-up, hole-in-the-wall eatery, Sarah tries to satisfy her obsession for all things culinary with a never-ending quest to seek out the newest and most exciting dishes in Sydney. 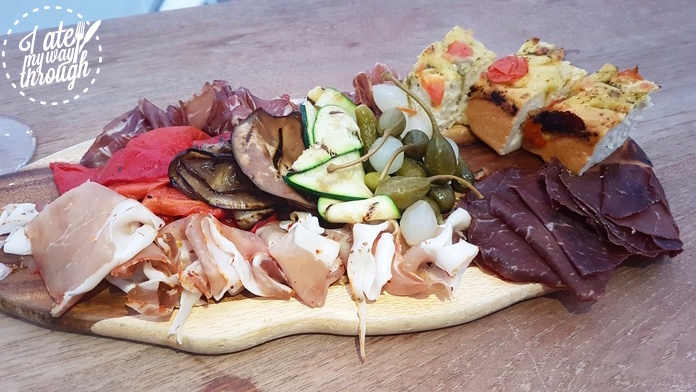 She has also travelled extensively across Europe and Asia and the first part of any trip-planning is, of course, in-depth research into the local food specialities. This globe-trotting has led to a fascination with a great variety of cuisines - from Shanghaiese dumplings to modern Australian seafood, from Turkish Gözleme to Yorkshire puddings. If there is a new restaurant or dish on the scene, Sarah won't be far away!